It seems that my uncle Pat Farraher is determined to have his moment in the Sepia Saturday sun. 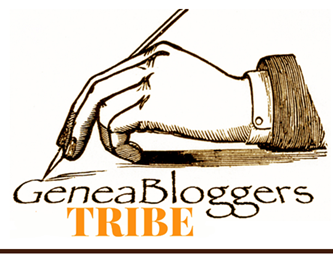 Pat appeared back in Sepia Saturday 166 and today’s topic is tailor-made for him. The World War II nominal roll only gives bare details but it lists Patrick Joseph Farraher enlisting on 15 September 1942 in Enoggera, Brisbane at the age of 34. 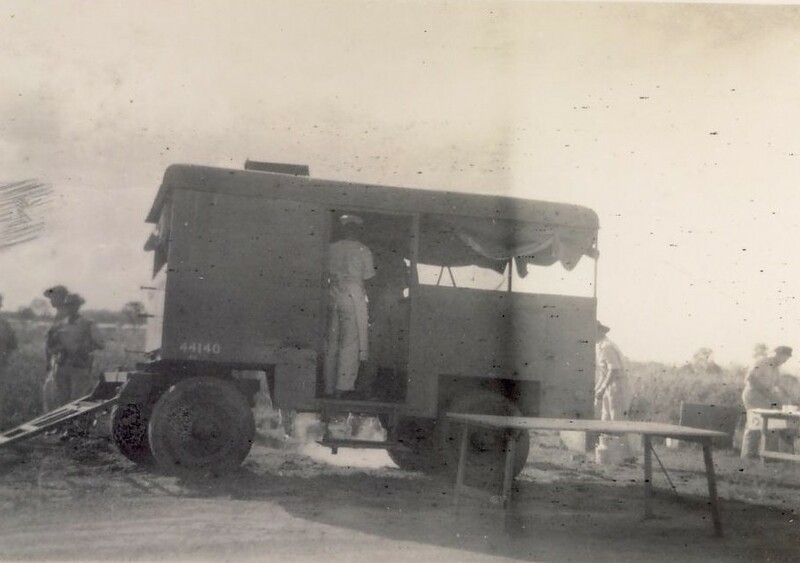 He was attached to the 4th Field Bakery (AASC) as a private. 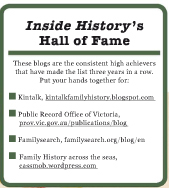 His next of kin was my Aunty Mary. Among my aunt’s estate were some old family photos including some of Uncle Pat’s military service, including those mentioned above. Today we start moving into the field and the Australian War Memorial’s photographic collection places Pat’s photos in context. 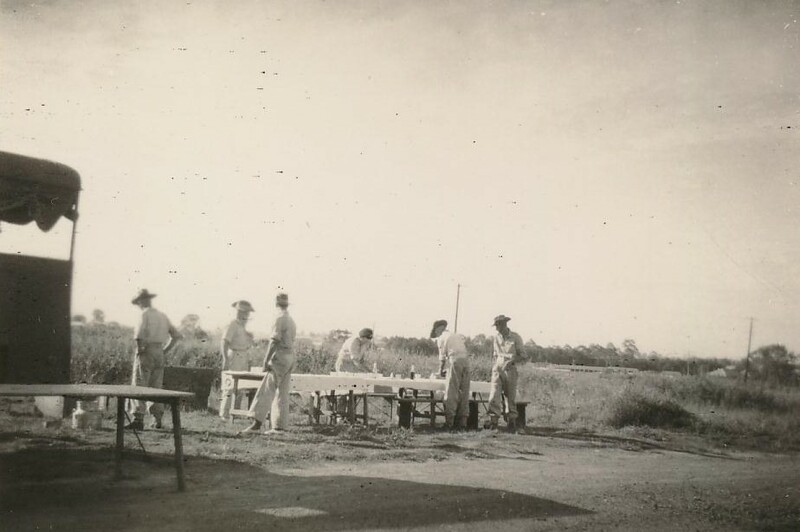 I knew he’d served in Papua New Guinea, and immediately recognised some of Pat’s place photos from his time there, but knew nothing about these service photos of his. It may be this is field training prior to departing to Papua New Guinea -it looks like Australian scrub in the background. Photograph from Pat Farraher collection. The cook “train” -you can see this photo links with the one above. Photo from Pat Farraher collection. 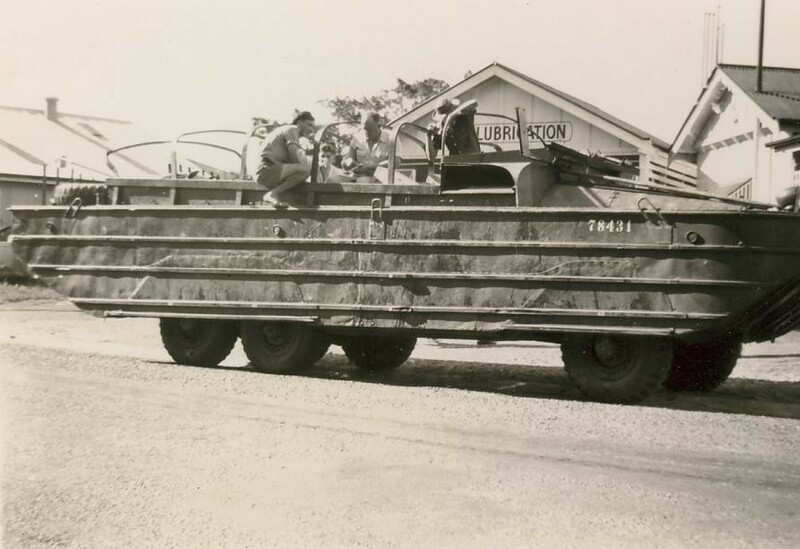 I could see this was an Army Dukw (amphibious vehicle) photographed, I suspect, at Enoggera army camp by Uncle Pat but what relevance did it have? Perhaps they were heading off to the ship to PNG. Photograph from Pat Farraher collection. But the AWM website makes it clearer in its caption for this photo: A FIELD BAKERY BEING ESTABLISHED ON THE NORTHERN BANK OF THE BUMI RIVER. 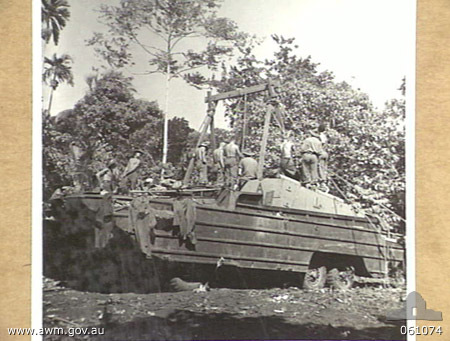 THIS PHOTOGRAPH SHOWS MEMBERS OF THE 4TH AUSTRALIAN FIELD BAKERY PLACING SHEER LEGS IN POSITION ON TWO “DUKWs” PREPARATORY TO UNLOADING THE BAKERS OVENS. Photograph 61074 from the AWM Collection, taken in the Finchhafen area of PNG. Image in the public domain. Men from the 4th Field Bakery. Armies need food as well as ammunition so the army bakers were kept busy making bread, rolls, meat pies and who knows what else. I don’t suppose that with people being shot at, any concerns for health regulations went out the window. I was lucky to find so many great photos of the 4th Field Bakery in the AWM collections. Image 061258 AWM. 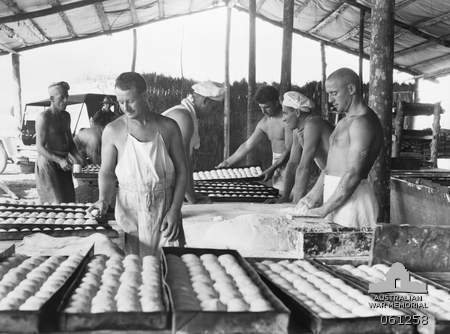 4th Field Bakery men preparing bread rolls. Image out of copyright. In a hot and humid region, working in the bakehouse must have been incredible sweaty work though they were probably well-served by their bush-materials bake house. In the bigger scheme of things I guess the Diggers probably didn’t care too much about a salty addition to their bread rolls. 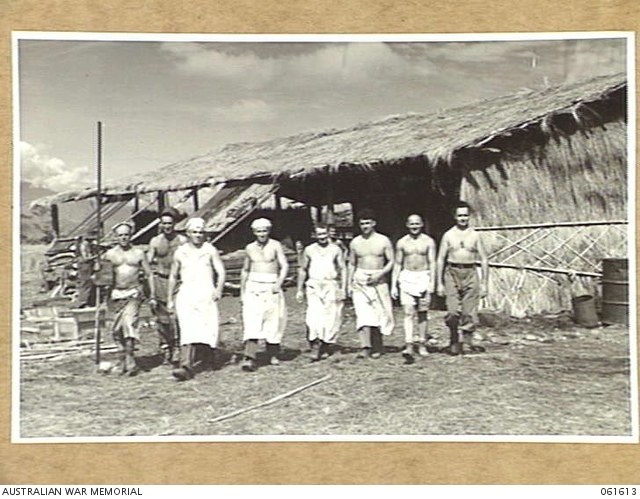 The AWM states on one picture “with improvised ovens and huts and the help of native boys, the men of the 2/4th Field Bakery baked thousands of bread rolls each day to supply the Division”. Some bakers from the 4th Field Bakery heading back to quarters after a busy day’s work. The contrast between the featured image today and the men in this image is amusing, I think. No wonder the British officers complained about the casualness of Australian soldiers during WWI. AWM Image 061613 of the 4th Field Bakery men leaving the bush materials bakehouse at Dumpu in the Ramu Valley, PNG. Image out of copyright and in the public domain.